So, I know it’s been a hot minute, but I’m back. We all need food, so I am here to satisfy. Before we get to today’s questions, I wanted to elicit possibly your help. Last week, it was revealed that Anthony Bourdain had died at age 61 while filming his show. First, if you or someone you know is feeling any type of suicidal thoughts, I hope you’ll reach out to the right people including the National Suicide Prevention Hotline. Also, while I’ve enjoyed seeing interviews with Anthony Bourdain, I really haven’t watched that much of his shows or read much of his books. 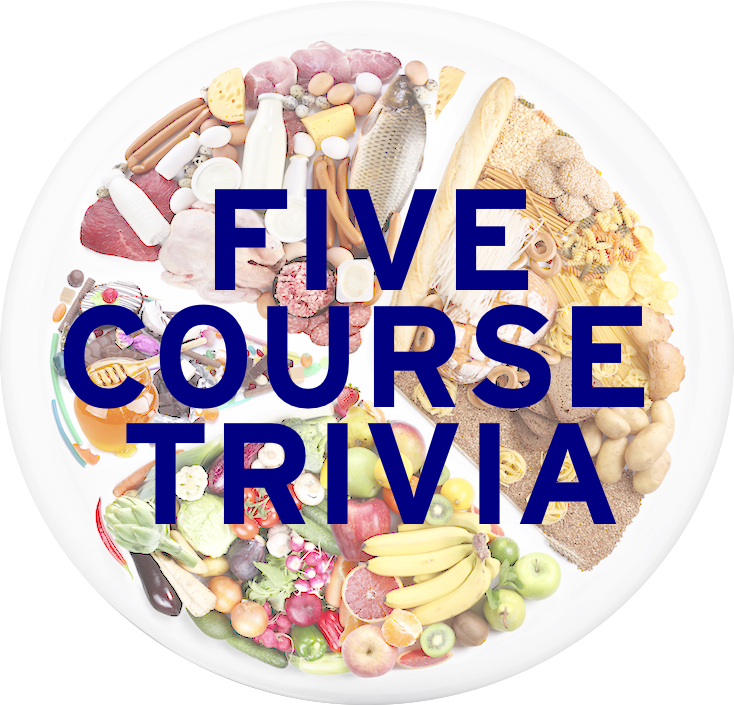 If you were a big admirer of him, I would really like to post a tribute here on Five Course Trivia with questions about his life and works. Feel free to contact me, and we can definitely set up a guest entry from one of you about Bourdain. I appreciate it greatly. Now, back with the show. Last year, I featured a smattering of words that had been used in previous spelling bees. In honor of this year’s iteration of the Bee which I watched from front to end, here are words that were spelled (correctly or not) at this year’s bee. Given the Merriam-Webster definition and a picture, see how well you can spell.